Sold out. Production of this item is planned to resume in late 2017. Our Cassidy Candle Shade is for use on a shade carrier. 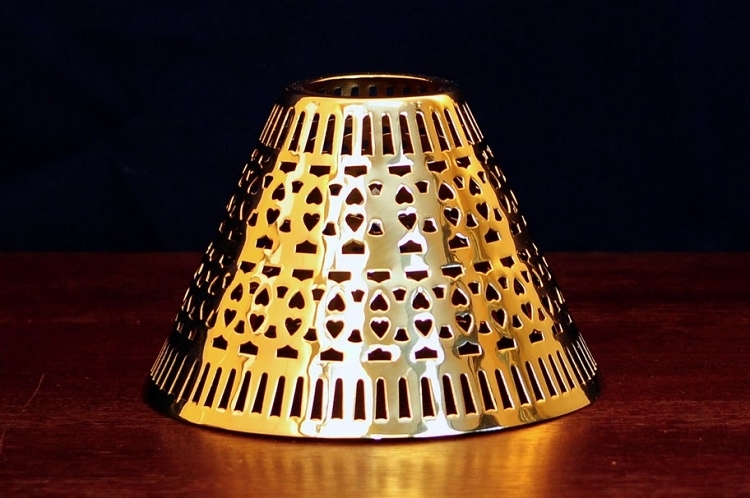 This shade is made of solid brass. It weighs 3.8oz and is 3-7/8" tall. The top opening is 1-5/8" and the bottom opening is 5-1/2". The finish is lacquered to prevent tarnishing. This first casting is of the style shade pictured here only.